Our publishing group includes the guide publishers NGV and Komet, the children's book publisher Schwager & Steinlein, Delphin - the publishing company with books for the whole family, the nonbook supplier Honos, the publisher Fackelträger, which specializes in lifestyle books, and the content agency Apollo Medien. Just have a look at your shelf of cookery books at home, or the books in your hobby room or your sewing and knitting corner. There’s an NGV book to be found in almost every household – you’ll probably find one in yours, too. Founded in 1983 as Naumann & Göbel Verlag, NGV is now a modern and internationally active publishing company that publishes lavishly illustrated books on a wide range of topics for the whole family. Schwager & Steinlein offer a wide range of colourful children’s books for girls and boys aged 2 to 10. They include board books for little hands, puzzle and picture books, exciting stories for reading aloud, colouring books, educational books for nursery and nonfiction books for primary schools. Edition Fackelträger’s books are for readers with an eye for aesthetics and sophisticated content. Classical topics in the field of culinary art – good food, fine wines, spirits and cigars – play an important role in our programme but we also cover up-to-the-moment developments such as sous-vide cookery and major trends such as veganism. Amateur artists and all those who want to join their ranks can find customized solutions with HONOS. In the fields of craft, design, painting and drawing, from the entry-level set to individual artist’s accessories, the VEMAG non-book team offers quality creative products. In manuals and DVDs we explain how the different techniques work. 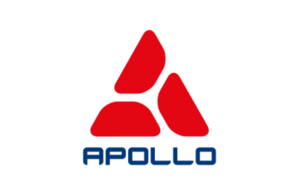 Apollo Medien GmbH is the content agency for VEMAG. We are responsible for the e-publishing activities of the entire publishing group. We have a variety of content relating to cookery, crafts, children, health and general nonfiction books. Much of this is, as with the books of our sister publishers, available in more than ten languages. You can count on our deliveries arriving when and where we have promised. Our logistics experts are experienced in handling large orders worldwide – whether by boat, plane or lorry. In Bergheim near Cologne, VEMAG has its own high-bay warehouse with 10,000 pallet spaces.